Reoccurring or constant feelings of anxiety can be difficult for anyone, but for someone in recovery, they can also be dangerous. This type of stress can be a trigger for relapse, so as someone in recovery, you can’t simply ignore it and hope it goes away. In fact, ignoring it can make it even worse, and it can just build from there. So, finding ways to deal with your anxiety, now that you are in recovery, is extremely important, and is an integral part of any complete recovery plan. 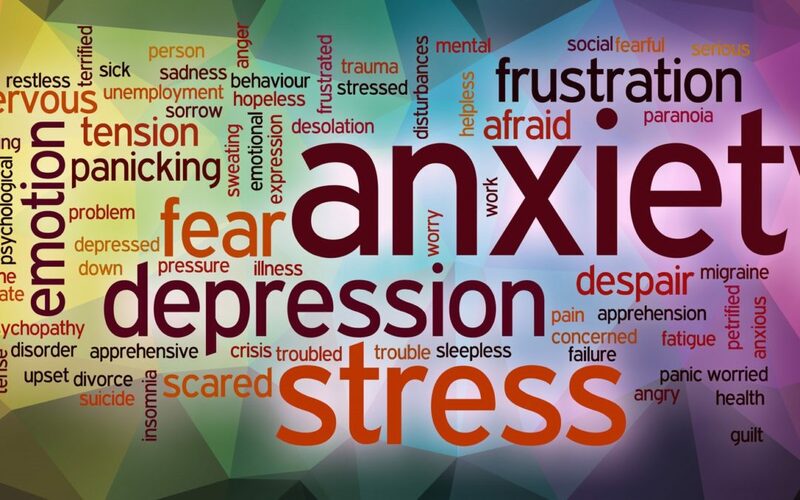 You are not alone in feeling anxious, though – according the Anxiety and Depression Association of America, forty million Americans over the age of 18 are affected by anxiety – roughly 18% of the nation’s population. Thankfully, there are steps people can take to help free themselves from this uncomfortable way of living. Anxiety disorders are highly treatable, yet only 36.9% of those suffering receive treatment. Anxiety is not a random, unknown, or uncontrollable disease or illness that you develop, inherit, or contract. Instead, it actually results from a certain behaviors. We create the physiological, psychological, and emotional state of being anxious when we are worried, fretful, or concerned. Being apprehensive about people, places, or situations can create anxiety and if left to its own devices, it can just build from there. When it is not addressed, it can continue to grow, and can eventually develop into a full-blown anxiety disorder, which can interfere with every single aspect of your everyday life. However, just as it is something that we cause in ourselves, it is something we can combat in ourselves as well. Unfortunately, while you were an active drug abuser, it’s likely you masked your anxiety by self-medicating with drugs and alcohol. In fact, its possible that underlying anxiety may have even been one of the reasons you started using drugs and alcohol to begin with. Over time, you used these substances more and more and that lead to addiction. Now that you are in recovery, you need to find healthier ways to deal with your anxious feelings. Luckily, there are many options to help you in this area, and soon and with practice, you may be able to control your feelings of anxiety, or nearly eliminate them altogether, without numbing them with substances that will harm your mind and body. There are many ways to fight feelings of anxiety. If one doesn’t work for you, there are others you can try. Most likely, a combination of multiple methods will be the best way to avoid or downplay these feelings. Try each of the following methods, and see what works best for you and your situation. Exercise. Getting enough exercise can be a big help to combatting feelings of anxiety. Working out is a natural way to de-stress, and helps to improve your mental health. Exercise helps to build dopamine and serotonin in your system, and both of these chemicals help to make you happier. Further, staying active helps to increase blood flow to your brain, which allows neurotransmitters to connect more easily, making you feel better and more awake. Thirty minutes a day of exercise is recommended, and once you get into a regular pattern that becomes a habit, you will find your anxiety start to disappear or at least become more manageable rapidly. Eat right. Eating regularly and nutritiously is vital to keeping yourself balanced, and in turn, it will help to keep feelings of anxiety at bay. Everyone becomes more stressed out when hungry, and as a result, emotions like anxiousness and anger may begin to arise. Try to eat regularly and work on keeping your meals balanced and healthy. Avoiding the sugar rush and crash that accompanies consumption of junk food can really help you to manage your anxiety. Get plenty of sleep. Just like eating unhealthy foods can set you up for feelings of anxiety, so can lack of sleep. Try to get at least eight hours of sleep per night, and also try to go to bed and wake up at the same time each day. Getting enough rest helps your brain to work better, and will make you feel physically better too. It’s amazing how much a change in sleep patterns can change your life. Unfortunately, your anxiety may make it hard for you to fall asleep – our minds often seem to rush at a mile a minute as soon as we close our eyes for the night – but by using breathing techniques and other relaxation methods, we can hopefully learn to bypass these feelings and begin to get the amount of sleep our bodies and minds truly need. Make lists. For some people, anxiety is exacerbated by stress and feelings of being overwhelmed by all the requirements of being human. Making to do lists of all that you need to get done, and actively crossing off tasks of what needs to be completed, can really help to decrease feelings of anxiety, and help organize your life. Meditate. Meditation has been helping people in many ways for thousands of years, and it can help with your anxiety, too. Practicing meditation is not simply sitting and thinking about nothing, as many may believe, but rather it helps with one-pointed thinking, by teaching the practitioner to focus on their own breath or some other focal point. In doing so, people who meditate learn how to keep their mind from racing and jumping from thought to thought – which is something most anxiety sufferers do, thereby building their feelings of anxiousness into a vicious cycle. Relax and de-stress. Practice self-care by giving yourself the opportunity to relax whenever possible. For someone with anxiety, this may seem easier said than done, but there are many things you can do to give yourself a break after a hard day or week. Take a bath, read a book, listen to music, or get a massage. Take some deep breaths and focus on relaxation rather than the things that cause you anxiety, and you will soon find yourself in a healthier, less anxious place. Distract yourself. If you are feeling anxious, find something to do to take your mind off your feelings of anxiety, and they may soon pass. Participate in a hobby, watch a movie, or talk with a friend about things unrelated to the source of your nervousness. You may find when you revisit the topic at hand, you feel better about it, and can approach it with a clear mind after stepping away from it for a bit. Keep a journal. Writing can be a great way to deal with a variety of problems, and anxiety is no exception. Even if you don’t think you are a good writer, getting your thoughts down on paper – even if just for your own eyes – can really help you to work through difficulties. Trying to explain why you are feeling anxious in writing will help you vent and may also help you to see that your feelings of anxiety are not really as big as they feel in the moment. Don’t overwhelm yourself. It’s easy for even the most calm and collected person to feel anxious if he or she takes on too many things. By balancing your life, and not overwhelming yourself, you may be able to naturally reduce or eliminate anxious feelings, and keep your emotions as well as your responsibilities under better control. Practice gratitude. Everyone has so much to be thankful for – even someone who has been though many struggles in his or her life. Take time each day to list the things for which you feel gratitude, and you may find that your problems begin to feel smaller as time goes on. You can list these things mentally, on paper, or using a smartphone app; if you choose one of the two latter methods, periodically review what you have written over the past few weeks anytime you are feeling anxious. Do your best. Realize that perfection isn’t possible for anyone, but try to do your best work in any situation. That’s all any of us can do. Be proud of yourself for trying your hardest and don’t nitpick over mistakes you made while reaching for the stars. Slowly expose yourself to situations that make you anxious to overcome them. Perhaps your anxiety is triggered by social situations or specific challenges at work. Once you have gained some control over your general feelings of anxiety, consider working on these final challenges by limited exposure and reflection until you are able to handle them, too, with ease. Seek therapy and support. Although some therapists will want to prescribe anti-anxiety medication, seek a therapist who has experience in treating this type of issue without it. As mentioned above, most people with anxiety never seek treatment, but with a proper therapist or support group, it can be overcome or at least decreased immensely. Accept that you cannot control everything. Much of what causes anxiety is a feeling of lack of control. Understand that many things are beyond our control, and that your stress over these uncontrollable factors may be unfounded. Everyone has many of the same struggles you encounter daily; if we look at the big picture, fact of the matter is we are all doing better than we often think we are. This list is not exhaustive or fully comprehensive, but many of these tips may be a good place to start for people who are suffering from feelings of anxiety. Again, remember, most researchers believe that anxiety is something that we create within ourselves, and if that is true, then we can also control them and overcome them as well. If you try many of these still with little success, do seek out a therapist to help you work through these feelings, because again, intense anxiety can be a dangerous situation for individuals working on their recovery; since anxiety can be treated, there is no reason for it to build to a place where it becomes a trigger for relapse. You can succeed, and beat anxiety, too! To learn more about ibogaine treatment and the ways we can help you at our clinic in Cancun. We are standing by to hear from you, and are excited to discuss with you the ways that ibogaine can help you and your unique situation.